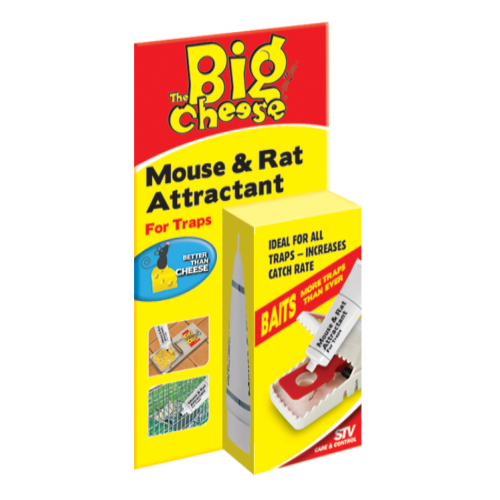 The Big Cheese Mouse & Rat Attractant helps to increase the catch rate of any type of mouse or rat trap. It is easy and clean to apply and can be used multiple times when sealed between each use. There are currently no questions for The Big Cheese Mouse & Rat Attractant - be the first to ask one!